The Tourist with Angelina Jolie and Johnny Depp. Florian Henckel von Donnersmarck's costly and widely panned spy caper has become a domestic box office bomb; yet there's a chance Columbia Pictures' late fall release will be more enthusiastically received internationally. The Tourist was budgeted at a reported $100 million. Dec. 15 update: The 2015 Golden Globes were announced early Tuesday morning, Dec. 14. The Top Ten movies at the domestic box office, among them The Tourist, Black Swan, and Burlesque, were up 15 percent compared to Monday and 24 percent compared to the previous week. Were the Golden Globe nominations responsible for the jump? First, the “No.” Compared to the previous week, box office figures have been up since last Friday. On Monday, numbers were 32 percent higher. And if you look at Box Office Mojo's daily charts you'll notice that Tuesdays are usually good days at the North American box office when compared to Monday. Attendance is almost invariably up. Yet the Golden Globes probably helped – at least to some extent – those titles nominated in the Best Picture and/or acting categories. Among the Top Twelve movies, Burlesque, a Best Motion Picture Comedy or Musical contender, and Love & Other Drugs, starring nominees Anne Hathaway and Jake Gyllenhaal, were the only two titles up more than 30 percent on Tuesday. Additionally, Best Motion Picture Comedy or Musical contender The Tourist, which stars nominees Angelina Jolie and Johnny Depp, and 127 Hours (back among the Top Twelve), starring nominee James Franco, were the only two up between 20–30 percent. Curiously, the much-ballyhooed Black Swan was up a relatively modest 12 percent. Perhaps that's because Darren Aronofsky's psychological thriller starring Natalie Portman has been overperforming just about every day. Either way, on Tuesday Black Swan boasted – by far – the highest per-theater average among North America's Top Twelve movies, $5,288. Also worth noting, the no. 1 movie in the U.S. and Canada on Tuesday was The Chronicles of Narnia: The Voyage of the Dawn Treader – hardly a Golden Globe favorite. The third installment in the Narnia franchise took in $1.72 million. On the other hand, The Voyage of the Dawn Treader posted the lowest Monday-to-Tuesday increase, a mere 5 percent. So, seems like the Golden Globes do have some box office value, whether for a few days or a few hours. The Chronicles of Narnia: The Voyage of the Dawn Treader trailer with Georgie Henley, Skandar Keynes, Ben Barnes, and Will Poulter. Dec. 13 update: Directed by veteran Michael Apted, perhaps best known for the “Up” documentaries (21, 28 Up, 35 Up, etc. ), 20th Century Fox's The Chronicles of Narnia: The Voyage of the Dawn Treader had an underwhelming debut in the U.S. and Canada this past weekend, Dec. 10–12, taking in a modest $24 million at 3,555 locations, according to box office actuals found at Box Office Mojo. First of all, that's way below the $40 million or whereabouts that some pundits had been predicting. Second, it's an especially weak figure when one takes 3D surcharges into account. And finally, since The Voyage of the Dawn Treader cost a reported $155 million, that initial box office take is bad news indeed for distributor Fox. Targeting Christians to come see a biblically inspired big-budget movie didn't pay off this time around – well, at least not domestically. Debuting at no. 2 was the $100 million-budgeted The Tourist, toplining Angelina Jolie and Johnny Depp, and directed by Florian Henckel von Donnersmarck, whose spy drama The Lives of Others received the Best Foreign Language Film Oscar in 2007. Despite its star wattage, the widely panned spy caper brought in a disappointing $16.47 million – quite a bit less than the $20 million some had predicted. Columbia Pictures is distributing this domestic bomb, which, like The Voyage of the Dawn Treader, will quite possibly have a much healthier movie house life internationally. The Walt Disney Studios' animated feature Tangled, featuring the voices of Mandy Moore and Zachary Levi, was the no. 3 movie on the U.S. and Canada box office chart, scoring $14.33 million. Tangled was followed by last week's champ, David Yates' Harry Potter and the Deathly Hallows: Part 1, with $8.48 million (down 50 percent). Starring Daniel Radcliffe, Rupert Grint, Emma Watson, and two-time Oscar nominee Ralph Fiennes (Best Supporting Actor for Schindler's List, 1993; Best Actor for The English Patient, 1996), the latest – and next-to-last – installment in the Harry Potter film series passed the $250 million domestic milestone this past weekend. Total to date: $257.67 million. Tony Scott's $100 million-budgeted train thriller Unstoppable, starring Star Trek actor Chris Pine and Best Actor Oscar winner Denzel Washington (Training Day, 2001), earned $3.7 million at no. 5. After expanding from 18 to 90 venues, Darren Aronofsky's ballet world-set thriller Black Swan pulled in $3.3 million at no. 6. Its average was an astounding $36,726 per theater. Total to date: $5.58 million. Cost (not including marketing and distribution expenses): $13 million. In the Black Swan cast: Shoo-in Best Actress Oscar contender Natalie Portman, Mila Kunis, Winona Ryder, Vincent Cassel, Benjamin Millepied, and Best Supporting Actress Oscar nominee Barbara Hershey (The Portrait of a Lady, 1996). Update: Black Swan becomes sleeper worldwide blockbuster. Gone from the Top Twelve – after only one week – was Sngmoo Lee's $42 million actioner The Warrior's Way, toplining Jang Dong-gun, Kate Bosworth, Danny Huston, and Best Actor Oscar winner Geoffrey Rush (Shine, 1996). The Tourist trailer with Angelina Jolie and Johnny Depp. Shades of Stanley Donen's Charade and Arabesque – plus a nine-figure budget, minus the “classic” status enjoyed by the two 1960s spy capers starring, respectively, Cary Grant and Audrey Hepburn, and Gregory Peck and Sophia Loren. Dec. 11 update: Directed by veteran Michael Apted, The Chronicles of Narnia: The Voyage of the Dawn Treader opened in North America to mostly negative reviews and tepid box office on Friday, Dec. 10, according to studio estimates. The third installment in the Chronicles of Narnia series scored an estimated $8.2 million at 3,555 locations, averaging a highly disappointing $2,307 per theater in spite of 3D surcharges. Debuting at no. 2 with $6.1 million, Florian Henckel von Donnersmarck's widely ridiculed The Tourist, starring Hollywood heavyweights Angelina Jolie and Johnny Depp, was another box office disappointment. As a result of the unimpressive debuts of both The Voyage of the Dawn Treader and The Tourist, once again the success story this late fall is going to be that of the Darren Aronofsky-Natalie Portman collaboration Black Swan. After expanding from 18 to 90 venues, the psychological thriller pulled in nearly $1 million – $987,000 to be exact, as per studio estimates. Its average was a fantastic $10,967 per site. For comparison's sake: three weeks ago, Danny Boyle's “triumph of the human spirit” drama 127 Hours, starring likely Best Actor Oscar contender James Franco, collected $259,000 on its first day after expanding from 22 to 108 sites. 127 Hours' per-theater average was a somewhat dispiriting $2,398. Here's another example: on its first day after expanding from 38 to 201 locations last July, Lisa Cholodenko's likely Oscar contender The Kids Are All Right, which earned rave reviews for stars Annette Bening, Julianne Moore, and Mark Ruffalo, scored $711,000. The family comedy-drama averaged $3,536 per venue. If Black Swan's box office appeal holds up, the Fox Searchlight release may turn out to be the breakaway indie hit of 2010. The people at 20th Century Fox – The Chronicles of Narnia: The Voyage of the Dawn Treader, Wall Street: Money Never Sleeps, Unstoppable, Love & Other Drugs – could learn a lesson or two from the Fox Searchlight crowd regarding what movies should get made and how to market them. And finally, at four venues David O. Russell's The Fighter, also inspired by real-life events, earned $98,000. In the cast: Mark Wahlberg, Amy Adams, Christian Bale, and Melissa Leo. Dec. 6 update: Disney's animated fairy tale Tangled, which has turned out to be a much bigger hit than anyone expected, topped the North American box office this past weekend (Dec. 3–5), earning $21.6 million. Assisted by 3D surcharges, Tangled had the highest per-theater average – $5,997 – among the Top Twelve movies. In the voice cast: Mandy Moore and Zachary Levi. Daniel Radcliffe. Ralph Fiennes. Rupert Grint. Emma Watson. Julie Walters. Imelda Staunton. Jason Isaacs. Helen McCrory. Alan Rickman. Richard Griffiths. Timothy Spall. Helena Bonham Carter. Tom Felton. Michael Gambon. Harry Potter and the Deathly Hallows: Part 1 should soon hit the $250 million milestone at the domestic box office. Cost: according to some reports, $200 million. Black Swan with Barbara Hershey. Although Harry Potter and the Deathly Hallows: Part 1 and Tangled have topped the U.S. and Canada box office in the last 10 days or so, Darren Aronofsky's psychological thriller starring shoo-in Best Actress Oscar contender Natalie Portman has become the biggest – surprising – success story this awards season. The big success story of the Dec. 3–5 weekend, however, belonged to a much “smaller” movie: at no. 13, Darren Aronofsky's Black Swan boasted 2010's second-highest weekend per-theater average: $1.44 million at only 18 locations resulted in a jaw-dropping $80,212 per site. Last weekend, Tom Hooper's The King's Speech averaged $88,863 – but at only four theaters. Considering that all things being equal, the higher the number of theaters the lower the per-theater average, Black Swan's box office take has been even more impressive than that of The King's Speech. At nearly five times more locations, Black Swan was only about 15 percent behind The King's Speech in the per-theater average department. The King's Speech, for its part, continues to do well in limited release. Starring 2010 British Independent Film Award winners Colin Firth, Geoffrey Rush, and Helena Bonham Carter, the likely multiple Oscar contender scored $326,000 (down a modest 8 percent) after adding two more venues, averaging a hefty $54,333 per theater on weekend no. 2. Also in the cast: Guy Pearce and veteran Claire Bloom (Limelight, The Haunting). Performing less remarkably but, even so, surprisingly well, Glenn Ficarra and John Requa's I Love You Phillip Morris drew in $113,000 at six venues, averaging $18,833 per location. In the cast: Jim Carrey and Ewan McGregor as gay inmates/lovers, in addition to Rodrigo Santoro and Leslie Mann. I Love You Phillip Morris garnered a lot of buzz at the 2009 Sundance Film Festival, but it took much too long for it to open in the United States due to litigation and infighting. All that probably has taken a toll on the commercial appeal of the Roadside Attractions release. Directed by Andrew Jarecki, and starring Ryan Gosling, Kirsten Dunst, and Frank Langella, All Good Things took in an estimated $40,000 at two theaters. The per-theater average was a hardly outstanding $20,000. Also worth mentioning, Danny Boyle's 127 Hours, starring likely Best Actor Oscar contender James Franco, pulled in $1.6 million – down 6 percent despite the addition of 140 sites. The generally well-received drama's per-theater average was a just passable $3,695 at 433 venues. Awards season buzz or no, it sure doesn't look like 127 Hours will become another Slumdog Millionaire at the North American box office. Total to date: $6.59 million. Cost: $18 million. Universal/Relativity Media's The Warrior's Way opened with a dismal $1.12 million at 1,622 locations. Director-screenwriter Sngmoo Lee's unusual mix of the Western genre and martial arts, which took about two years to reach North American screens, averaged a paltry $691 per site. Johnny Depp and Angelina Jolie The Tourist image: Peter Mountain / Columbia Pictures. 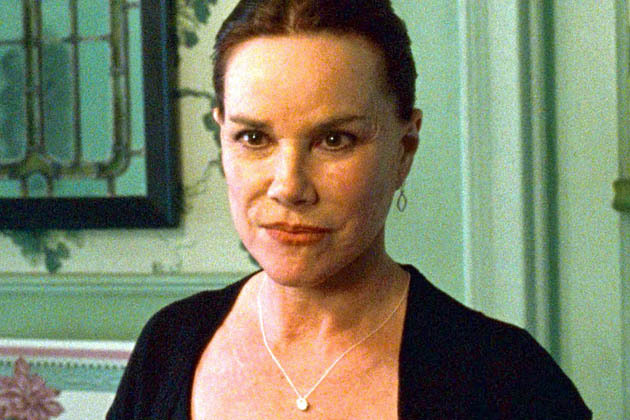 Barbara Hershey Black Swan image: Niko Tavernise / Fox Searchlight. Cher Burlesque image: Stephen Vaughn / Sony Pictures. The Chronicles of Narnia: The Voyage of the Dawn Treader trailer: 20th Century Fox. The Tourist trailer with Angelina Jolie and Johnny Depp: Columbia Pictures. “The Tourist: Angelina Jolie & Johnny Depp Caper Bombs + Natalie Portman Major Sleeper Hit” last updated in July 2018. 'Knight and Day': Tom Cruise Not Responsible for Box Office Misfire? Of course it is a bomb - two major stars opening with a little more than $6 million and those scathing reviews - could it get any worse?? Serves Depp right making a movie with this arrogant woman - she can only do 2 things - pout and scream and usually with a gun in her hand. Her dramas never generate much interest - A Mighty Heart anyone?? That was one of the biggest bombs of the year. Hopefully this will compel her to stay home and take care of the 6 children solely there for good PR purposes - that is if they know where home is!! The Tourist obviously did not bomb so why put that in the headline??? What is up with you guys?? This is a very entertaining enjoyable movie and I think it will make bank especially worldwide. You are such negative people. The Tourist will not bomb. Depp and Jolie have a vast fan base so no matter what critics think it will not bomb. The places where it was shot are fantactic and the paring is very attractive … perfect for a nice easy going movie night.